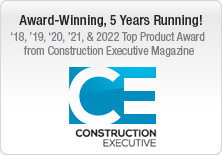 The average construction professional only works at maximum productivity about 50% of the time, in a large part due to scheduling mishaps like late or inaccurate information, double-handling of materials, waiting on resources, and dead time between assignments. 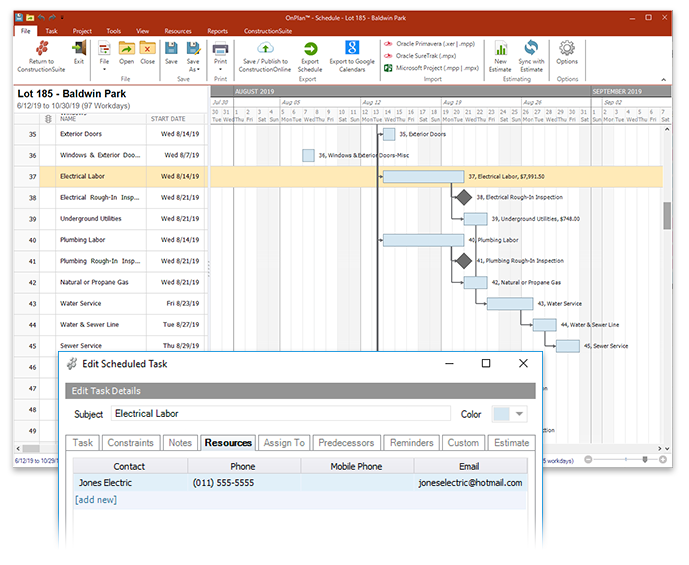 Create comprehensive schedules with ease, and then take advantage of advanced scheduling features like Critical Path Scheduling and UDA Resource Allocation to increase productivity and save time and money. Track and manage resources with ease using UDA Resource Allocation. 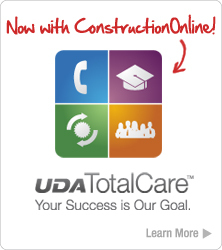 Beyond providing a direct link between the contact database and UDA Schedules, UDA Resource Allocation enables you to avoid conflicts, automatically send reminders, generate reports, and be warned of expiring insurance and certificates (in select versions) for assigned resources in your project schedule. 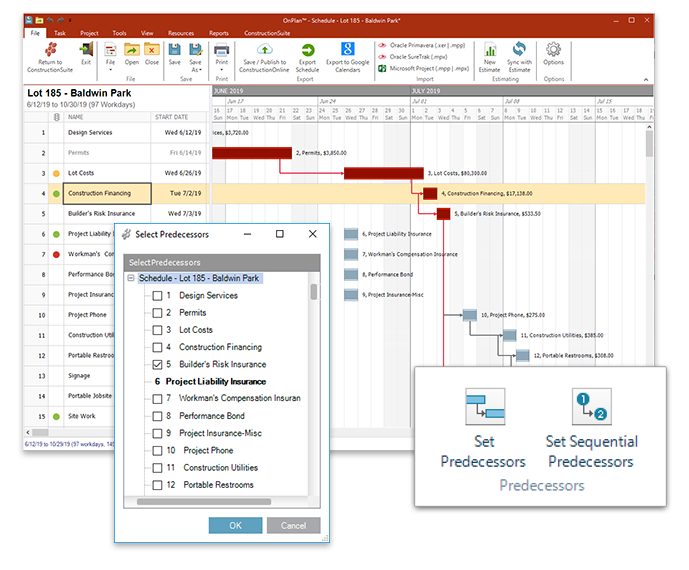 Using predecessors maximizes schedule efficiency by setting the subtask order so each task may begin as soon as possible and progress in the ideal order. 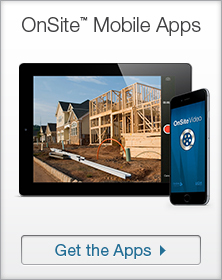 With a fully defined critical path, you can easily account for changes that occur in the project with just a few clicks. And, the new baseline feature enables you to compare original and actual scheduled dates, so you can better track and manage the progress of your project resources and schedules. 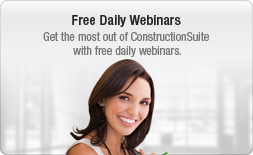 Manage projects, raise productivity, and increase cash flow with UDA Scheduling. 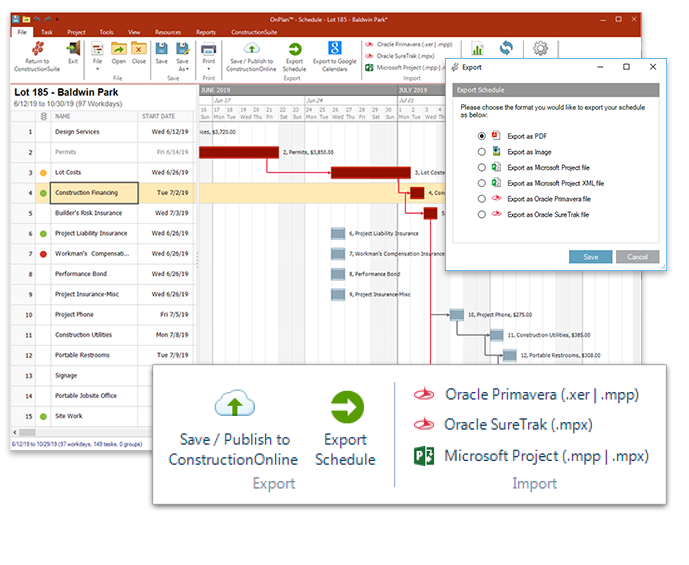 Quickly create a customized schedule that maximizes and fits your project needs, with advanced options and features designed to increase the efficiency of your time and resources. 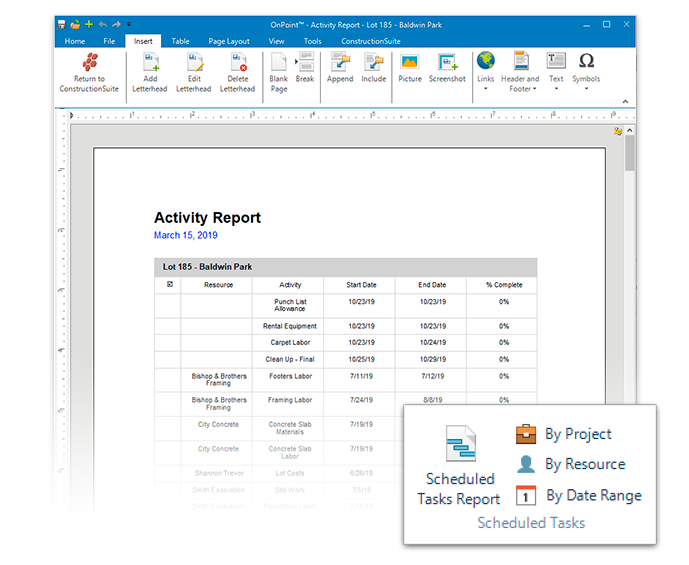 Keep your project on track with Scheduling Reminders. 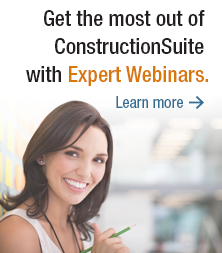 Among the leading causes of project delays are missing materials, late workers, and miscommunication. 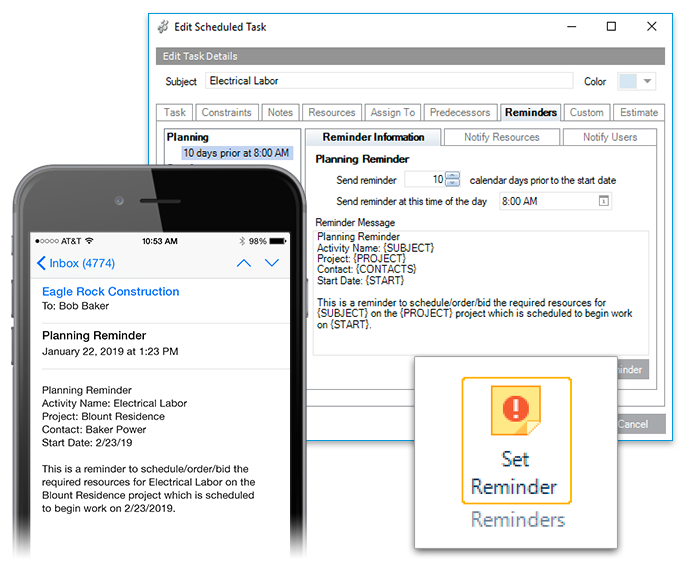 Protect yourself from these and other unforeseen delays by using the powerful, new reminder features in UDA Scheduling and advanced integration with UDA ConstructionSuite. 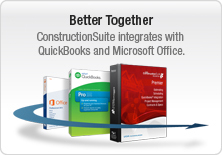 Integration is a key factor in saving you time and money. 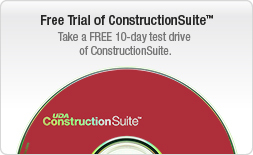 With UDA Scheduling, you can create estimates from schedules, synchronize information between estimates and schedules, export schedules to MS Project so they can be viewed by others involved in the project who do not have ConstructionSuite, manage multiple project schedules through the Integrated Calendar, and connect all your ConstructionSuite documents through the dynamic database system.